Expert advice on how to find the best boiler for your home. From picking the right size to the ideal type, we'll help you buy a boiler that won't let you down. A new boiler is likely to be one of the most expensive household purchases you'll make. So it's important to choose the right boiler from the right brand at the right price. Watch our video above to get top tips on buying the best boiler for you. The silver lining is that replacing an old non-condensing boiler with a modern condensing system can improve your boiler's efficiency by more than 30%, saving you a substantial amount on your annual heating bill. You can also use our choosing tool below to help you select the best type of boiler for your home – whether it's a combi, heat-only or system boiler. Select a boiler type, then click the green circles to find out more. We only award Best Buy boilers to the brands that are reliable, well loved by people who own them and are respected by heating engineers. Use our independent reviews to find out which new models we recommend as the best boilers. Most UK households have a gas heating system equipped with a gas boiler. But if you're one of the the estimated 4.3m households not connected to the UK's gas network, there are alternatives. These include fitting an oil boiler, liquid petroleum gas or LPG boiler, or a wood-burning stove fitted with a back boiler. 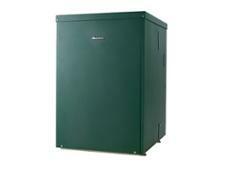 See our oil boilers page for more information. If you want to know more about heating oil costs, go to our heating oil guide. Combi (combination) boiler, which provides heat for your radiators and domestic hot water on demand. Heat-only (conventional) boiler. This will have a hot water storage cylinder and also a large cold water feed tank, usually in the loft. System boiler This is much like a heat-only boiler, but it doesn't require the extra space you need for a cold water storage tank. For more information, make sure you take a look at our guide to 5 things you need to know before you buy a boiler. You should also ask your heating engineer for their opinion. If you have gas central heating, your boiler will account for around 60% of your home's CO2 emissions*. This makes your choice of boiler a key priority if you're looking to cut your energy bills and carbon footprint. Boiler efficiency is an integral part of our independent boiler reviews. You can filter our boiler reviews by efficiency rating, but the reality is that there's not much disparity when it comes to modern condensing boilers – most will be around 90% efficient. Replacing an old-fashioned non-condensing boiler with a modern condensing system can improve efficiency by as much as a third, and will save you a significant amount on your energy bills. However, in terms of choosing between new condensing boilers, there is little difference in how efficiently they produce hot water. The key to getting the most efficient new boiler is in picking the right type and size boiler for your home. The physical size of your boiler and whether it will fit in the space you have it destined for. The correct heating size of the boiler will be something unique to you and your home, as it depends on things such as how many bathrooms you have and how many people you live with. This is something your heating engineer can help you with, and they will be key to making sure you achieve your hot water and heating requirements. In the tables below you can see which is the right size boiler for you, according to the supplier of thousands of boilers, the heating hub. On the table below, find your property’s age across the top and its size down the left hand column (number of bedrooms and bathrooms). Property ages assume standard insulation measures, such as double glazing and loft insulation have been retro fitted or for newer property were installed at the time of construction. Some older properties have been very well insulated retrospectively. If your levels of insulation are very high for the property’s age, then you may wish to move a column to the right. If you are planning on adding bathrooms you will need to factor in hot water flow rates. The hot water flow rate of a combi boiler, expressed as ‘litres per minute’ (LPM), indicates how quickly a combi boiler can heat hot water. Hot water flow rates vary from 9.8 LPM to 25 LPM! For houses with multiple bathrooms the hot water flow rate will be halved if two showers are running simultaneously so it’s important to look at the flow rates. For example, if you require a 24kW boiler, you will see that under the ’24-26kW group’ of boilers hot water flow rates vary from 9.8 LPM to 16.5 LPM. If you have multiple bathrooms you may wish to consider a boiler with a higher flow rate. NB for three or more bathrooms you may wish to consider a system boiler and high performance hot water tank. For a heat only boiler we are only sizing the heat production, not the hot water. It is possible to get a rough idea of the size you need using the age of your property, insulation levels and the size of your property. Property ages are given across the top and they assume standard insulation measures, such as double glazing and loft insulation, have been made. If your levels of insulation are uncharacteristically high for the age of the property then you may wish to move a column to the right. It's always good practice to ask your heating engineer what size boiler they think best fits your requirements. We know that when it comes to buying a new boiler, reliability and dependability are by far the most important factors that will influence which boiler you'll buy. So we go to great lengths each year to separate the good from the bad brands in terms of reliability. We survey more than 10,000 boiler owners each year, so that we can tell you with great confidence which boiler brands will keep you warm all winter, and which might leave you with cold showers and freezing-cold radiators. The graph below shows how many boilers remained fault-free – as you can see, there's a big difference between the best and worst brands. After six years, you're almost twice as likely to have experienced a fault with the worst brand than the best. With the average cost of a single repair hovering around £210, you'll want to know which are the best and worst boiler brands before you buy that new boiler. Become a Which? member to unlock the tables below and discover the best boiler brands. This brands boilers have topped the charts in our customer and engineers survey over the past few years. Its combi boilers are reliable and loved by those who own them and the engineers who fit and service them. This brand of boilers has a peerless reliability record. It's also loved by its customers and heating engineers think its build quality is top notch. This brand is completely adored by expert heating engineers. They rave about its build quality and award it 5 stars on every measure in our Which? Trusted Trader heating experts survey. If you live in a small flat with only one bathroom, then a combi boiler is the ideal choice for you. Combi boilers heat hot water on demand for your central heating and the taps in your home. This means you don't need space for a hot water cylinder to store the hot water, or a large cold water feed tank. For a small flat, you should only need a small combi boiler. 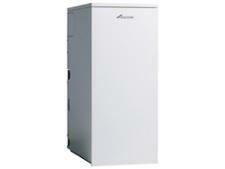 We would recommend a small combi boiler that has an output less than 24kW. Make sure you buy the best by selecting from one of our Best Buy small combi boilers. For a mid-sized family home, the choice will be between a mid-sized combi boiler or a small heat-only boiler. If you have multiple bathrooms and a large family that often uses more than one hot tap at once, and you have room to store a hot water cylinder and cold water storage tank, then the benefits of a heat-only boiler may start to outweigh the benefits of a combi. A trained heating engineer will be able to help you with your decision after conducting a full heat loss survey. But make sure you only buy a boiler from the best brands, by picking from either our Best Buy mid-size combi boilers, or Best Buy small heat-only boilers. For a larger home, the best choice is likely to be a heat-only boiler. You will need space for a hot water storage cylinder and a cold water feed tank in the loft, but for a larger home with multiple bathrooms, a heat-only boiler is nearly always the best option. Depending on the size of the home and how well insulated it is, you will need either a small or mid-sized heat-only boiler. If you live in an area with low water pressure, or if you live in a large home where you've converted the loft and don't have space for a cold water feed tank, then a system boiler could be your saving grace. System boilers don't require a cold water feed tank, which means they take up less space, and they also make use of a pressurised system which makes low mains water pressure much less of an issue. Make sure you pick a system boiler from one of the very best brands by heading to our Best Buy system boilers page. Don't attempt to install a replacement boiler yourself - leave it to the professionals. You can find a qualified heating engineer on the Gas Safe Register (the gas registration scheme previously run by Corgi), or use Which? Trusted Traders as the best place to start to find a local, trustworthy heating engineer for your boiler installation. Always get at least three quotes and make sure they include all costs, including any call-out fees. Don't be taken in by any headline discount figures – look at the total price of the boiler and labour charges. You may find that some installation companies, including services offered through British Gas and other energy companies, will suggest a replacement boiler for you rather than allowing you to choose your preferred model. This is because many heating engineers are incentivised to install particular brands. It's vital you check your heating engineer's recommendation against their peers - we have this data. So it's vital that you check your heating engineer's recommendation against the views of their peers – which is where we can help. We surveyed 179 Which? Trusted Trader heating engineers to find out what they really think of the different boiler brands on the market. You can use our research to make sure you pick the best boiler brand for your home. Check out the best boiler brands, then make your wishes clear to the installer from the outset. Heating controls let you take charge of when, where and at what temperature your heating is operating. It’s a good way of managing your heating costs, as you can ensure that your heating is only on certain rooms at certain times. When you come to replace your boiler, it may be a good time to install a heating control system. Find out more with our guide to the best boiler controls.